When you need a reliable family dentist to count on to treat patients of all ages, turn to Ellice Dental Group, Pearl Family Dental Care and Integral Dental. 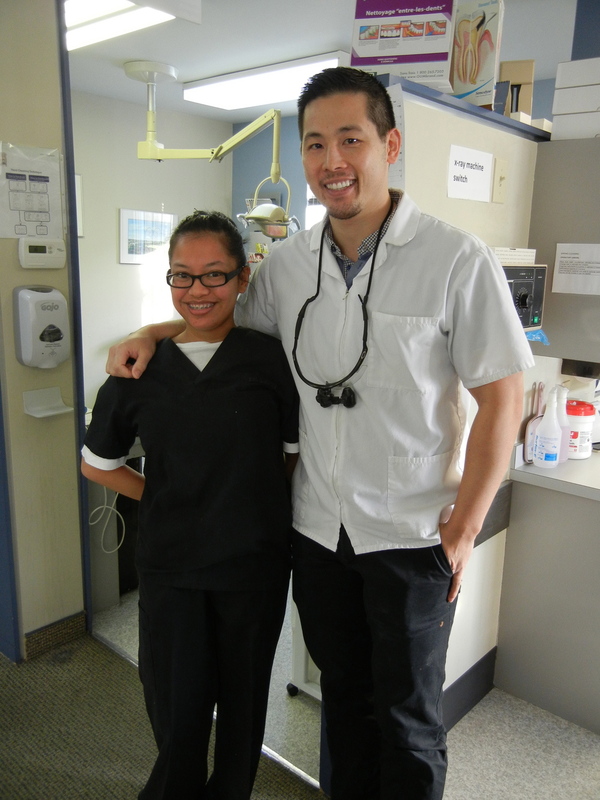 Our dental offices work with you to achieve the highest level of oral health that you deserve. We define oral health as "a state of the oral and related tissues and structures that contribute positively to physical, mental and social well-being and the enjoyment of life's possibilities, by allowing the individual to speak, eat and socialize unhindered by pain, discomfort or embarrassment." To help you reach this level of oral health, we offer a wide variety of dental services from our experienced dentists. We can advise you on the best course of action for your oral health and provide you with the dental services you may need or desire – from general dentistry to cosmetic dentistry and even Invisalign®! Our dentists follow three basic steps to achieve proper oral health. The initial step usually involves getting patients healthy by treating dental disease. Next, to ensure health is maintained and to prevent future problems, the bite is stabilized. Finally, we enjoy working with patients to reach their esthetic goals. By approaching our dentistry in this way, the Winnipeg dentists at Ellice Dental Group, Pearl Family Dental Care and Integral Dental hope to positively affect our patient's quality of life. Make an appointment today and take the first step to reaching your dental goals. Convenience: Ensure that the dental office you choose can fit your needs both in terms of location and office hours. Reputation: One of the best ways to find a dentist is to ask around! If a dentist has been serving an area for a while and there are many happy and satisfied clients, there’s a good chance you may be happy there as well! Comfort: When looking for a dentist, you should connect with your dentist to feel as comfortable in the chair as possible during treatment. This is especially important if you are uneasy about visiting a dentist in general! Services: You want to be sure that the dentist you see offers the dental care and services necessary for your oral health. At Ellice Dental Group, Pearl Family Dental Care and Integral Dental, we truly want you to feel informed and as comfortable as possible while receiving the dental care and oral hygiene services you need to keep your smile healthy. We have a polite, knowledgeable, friendly staff – from the office staff, to the hygienists, to the dentists – and we believe it is our duty to serve you. Perhaps the dentist’s chair won’t ever be your favorite place to visit but it is our goal to put you at ease. To serve you better, our downtown office as well as our Tyndall Park office have ample parking and are wheelchair accessible. Click here for locations or to contact us. Understanding the treatment options is important to make proper choices. We can discuss the details of your treatment plan in the language you are comfortable with. Life is busy. Evening and weekend appointments provide access to the dental care you need and allows you to take care of yourself and your family. We believe that making your smile the best it can be will go a long way in improving your quality of life. We truly understand the importance of having a healthy, attractive smile, and its capability to improve the way you look and feel from the inside out. We aim to treat you and your family as though you were part of ours. We will help you learn about the importance of taking care of your teeth, working closely with easy instructions to obtain optimum dental health. Our focus is on treating the cause of any problems you may have, rather than just treating the symptoms. That means you will be on your way to a lifetime of healthy, trouble-free teeth and gums. Every appointment begins with determining your concerns and expectations, a thorough evaluation of your current dental condition, ensuring you are aware of options that will work for you, and careful delivery of the best possible solutions for your unique needs. We strive to continually improve our skills and knowledge and update materials and equipment with the goal of providing the best care possible for our patients. Our doctors keep current knowledge through thousands of hours of continuing education. Our patients deserve the most up to date techniques. More and more connections are known about oral health and individual's overall well being. We offer comprehensive dental care as well as unique services because we care about your health. Our tools and skills are here to achieve ideal oral health for you and your entire family.